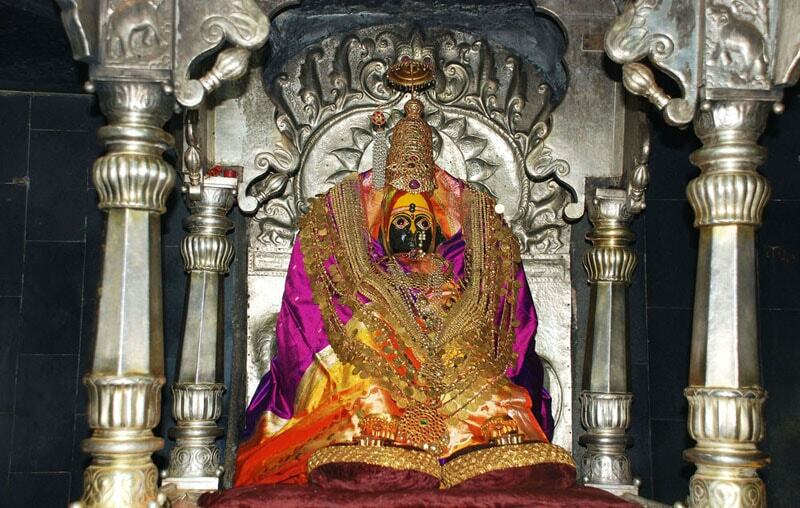 " Shri Kshetra Tuljapur, the one amongst three and half Shakti Peethas (abodes of cosmic powers) of the state, is situated in the Osmanabad district of Maharashtra, wherein resides Goddess Tulja Bhavani. She is also described as the impressive and formidable Goddess in Hindu Puranas, who is known to combat demons and evil forces and maintain the moral order and righteousness in the universe.She is revered and worshipped all over India as Ambabai, Jagadamba, Tukai, Bhagwati, Durga, and Tulja Bhavani by her devotees who throng in millions to Tuljapur for her Darshan and for seeking her divine blessings.TuljaBhavani is also worshipped as the Family Deity (Kuldaivat), not only in Maharashtra, but in innumerable families of India, from Himalayas to Kanyakumari. In Maharashtra, TuljaBhavani worship is of great antiquity and many royal houses and their nobles have been her devotees. She is the family Deity ( Kuldaivat) of the great Bhonsla dynasty , whose most celebrated progeny was Great Shivaji, the founder of Hindavi Swarajya. Legend has it that it was Tuljabhavani who gifted the Bhavani sword to Shivaji to vanquish his opponents in the battlefield." Share This Website With Your Friends n Family.